Anne Curtis denied the news at first but now! the actress revealed the real story about her international project. 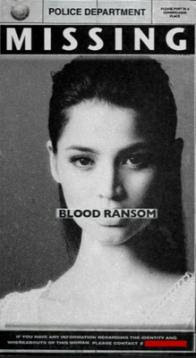 Anne Curtis is indeed shooting a Hollywood film "Blood Ransom", according to her official Twitter account. Actress Anne Curtis tweeted that she's shooting the movie titled "Blood Ransom" in California. She said, "Blood Ransom. Coming soon. https://www.facebook.com/BloodRansom." And she also revealed that she's not the only Filipino cast from the said Hollywood film. "@vidaesperros im not the only filipino :)." "Blood Ransom" is set to hit in all theaters next year 2003 directed by Filipino-American Francis dela Torre. This is the reason why she left her hosting career for the meantime just to pursue her dream to come true. For more information about the Anne Curtis on Hollywood film project, kindly bookmark this page and share to your joined social networking sites. Comments or suggestions about "Anne Curtis on Hollywood film Blood Ransom" is important to us, you may share it by using the comment box below.